We specialise in delivering successful corporate events for our clients. Founded in 2000 we have a reputation for delivering creative events with attention to detail, on time and within budget. We work closely with our clients, listening to understand what their requirements are, and surpassing their expectations. 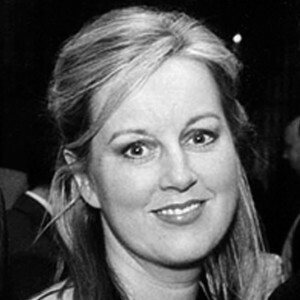 Geraldine is an Exhibition Designer by profession, and a graduate of the Dublin Institute of Technology and the Public Relations Institute of Ireland. Previously she worked for Fleishman Hillard (Europe) and an international exhibition design company. We will look after your every need, from finding a suitable venue to planning menus and sourcing entertainment. We plan and professionally execute corporate events as well as corporate parties and dinners. So, let us help you organise the perfect event and ensure the overall event management service is flawless. Our first step is to get a thorough understanding of you, your values, your brief, your target audience and your objectives for the event. We become an extension to your team, immersing ourselves in your company culture, and working out what makes your audience tick. We work with you to develop concepts within these parameters and throw in the inspirational ideas. Ensuring we deliver the event that achieves the results you want. We undertake all aspects of budgetary management, brief compliance, feasibility studies, site finding, sponsorship management, branding opportunities, contract negotiation, while researching, sourcing, and negotiating content. Making your budget work its hardest to deliver the highest quality event possible.